Disney Pixar Cars 3 Just $27.50! Down From $55! PLUS FREE Shipping! You are here: Home / Great Deals / Amazon Deals / Disney Pixar Cars 3 Just $27.50! Down From $55! PLUS FREE Shipping! Check out this Disney Pixar Cars 3 at Amazon for just $27.50 down from $54.99 PLUS FREE shipping! 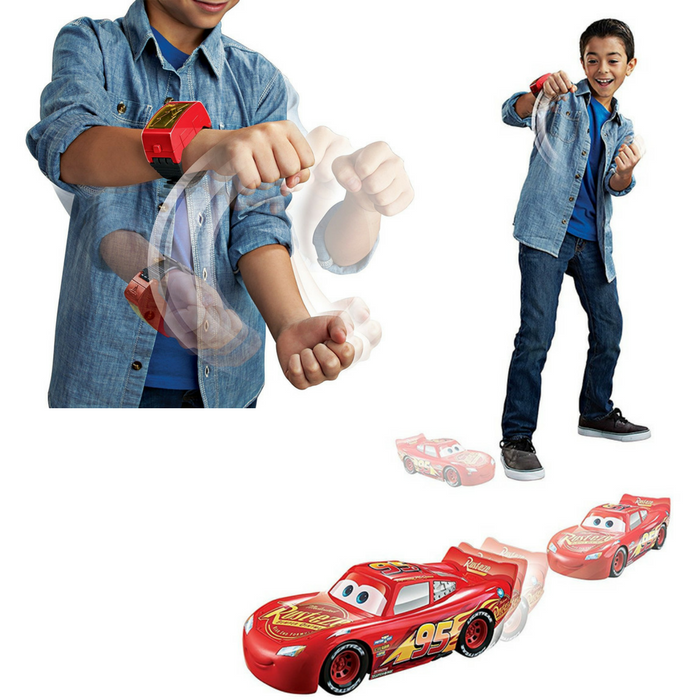 Take the wheel and enjoy awesome Disney/Pixar Cars 3 driving fun with this Smart Steer Lightning McQueen vehicle! Its interactive technology and wrist control band let fans be the champ and drive using simple gestures. Take off, turn left, go right, forwards, backwards, or stop. Hear cool racing sounds and real Lightning McQueen dialogue from the film for even more authentic play! Press the lightning bolt on the armband for an extra boost of power and send your car flying across the finish line!